On Wednesday 22nd July was organised a meeting to discuss a new community engagement panel TfL is proposing to establish in the Clapham Junction area. As they work to refine the proposals for Crossrail 2, which includes a new station at Clapham Junction, they want to engage with representatives of the community panel, to provide more information about proposals for Crossrail 2, to better understand local issues and what this means for our community. Later this year a wider public consultation on the scheme will be organised. Transport for London and Network Rail are working together to plan Crossrail 2, and the current Crossrail 2 route proposes a station at Clapham Junction. A Crossrail 2 station at Clapham Junction would create a new interchange to London Overground and National Rail services and create additional capacity and relieve crowding at Waterloo. However their plan for safeguarding part of Grant Road and Bramlands area is deeply upsetting Wandsworth Council‘s plans to use that are for high rise towers in order to decant the population for their redevelopment projects of Winstanley and York Road estates. 1. 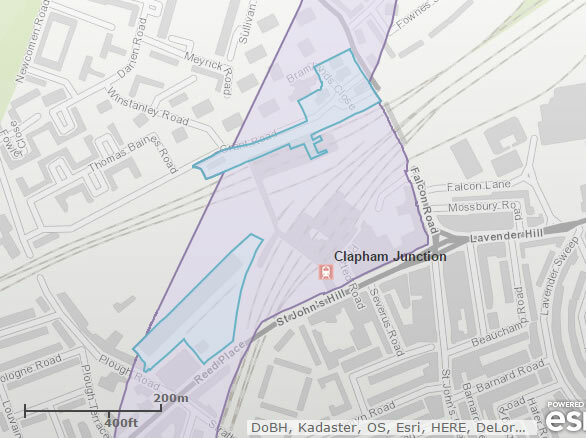 We are fully supporting your aim to redevelop some areas of Clapham Junction station to welcome Crossrail 2 (as shown in the map published to protect the proposed route ). 2. We have long advocated for a master plan to redevelop Clapham Junction station and we believe that you address here the needs for a proper and ambitious plan for a station redevelopment. 3. Wandsworth Council has submitted a response to the consultation in February 2015 and expressed strong concerns that Crossrail 2 safeguarding is jeopardizing their master plan for the improvement of the Winstanley and York Road Estates and immediate surrounding area. 4. They wrote in their representation that “The Masterplan has involved extensive consultation with the local community and an iterative process has led to a preferred option […] The Council has now carried out the necessary scheme testing, with local residents [and] the view was expressed that Bramlands would be used to drive and change values across the whole site.” We would like you to know that this is misleading as at NO TIME has the local area being consulted on the developments of Grant Road/Bramlands specifically, and the public has never been offered any option but a fait-accompli. The view that Bramland could be used for dense and tall buildings is the sole view of Wandsworth Council with no consultation on the matter. Actually an initial consultation demanded for “fewer towers” in the whole area. 6. We have joined our voice to the concerns expressed by the Battersea Society and called for a halt to any further planning permissions until there has been serious consideration, with TfL, of the implications of the increased demand on road and public transport in the area. 7. We are concerned that Wandsworth Council is currently pushing for major developments in an area where public transport capacity is already inadequate at peak periods and increasingly at other times. 8. They are not giving proper consideration for their own Policy DMT1 where it says that “Development […] will be permitted where it does not have a negative impact on the transport system”. In addition, the NPPF suggests that developments shouldn’t have a significant impact on transport system. 9. We welcome the plans for a Crossrail 2 station at Clapham Junction as it is currently safeguarded. The proposed location at Grant Road will create a properly integrated interchange to London Overground and National Rail services and give the proper recognition for Clapham Junction station as a major transport hub in south London. 10. Plans should not be derailed by the Council’s consideration to only maximise residential development potential and their identification of Grant Road/Bramlands as ideal site for decanting the current population during the construction project. 11. 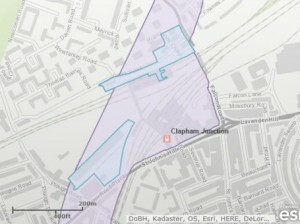 Alternative sites by the Council (the land to the rear of Clapham Junction Station and the Asda/Lidl site) would not provide the same integration possibilities and seem to be suggested without the interest of Clapham Junction transport expansion at heart, despite Wandsworth Council’s claim. We wish to be included to any discussion and consultation regarding the possibilities of station redevelopment and the impact of Crossrail 2 and would like to be included in the community panel. This entry was posted in Clapham Junction Action Group, The station, Wandsworth Events, Winstanley&York Road and tagged Clapham Junction, events by Cyril Richert. Bookmark the permalink.